To view or download the breakout schedule in an Excel spreadsheet, click here. To view the following Workshop Descriptions in PDF format, click here. All CDFM pre-PDI mini-courses offered on Monday and Tuesday are aligned to DoD FM Certification Program competencies and associated proficiency levels. By completing these courses you will gain additional knowledge, earn CPE credits, and fulfill hours toward your DoD FM Certification requirements. Textbooks will not be provided, but may be purchased on site. Instructors will use the 2013a version of the textbook. This pre-PDI session (eight hour course) is an additional fee of $250. CDFM Module 1 (Resource Management Environment) is an intensive one-day (eight hours) mini-course that addresses the material covered in the Enhanced Defense Financial Management Training Course (EDFMTC) related to the Management of Government Resources. Individuals who have completed a significant amount of exam preparation and are looking for a final review prior to taking the exam may find this course helpful. Textbooks will not be provided, but may be purchased on site. Instructors will use the 2013a version of the textbook. This pre-PDI session (8 hour course) is an additional fee of $250. CDFM Module 2 (Budget and Cost Analysis) is an intensive one-day (eight hours) mini-course that addresses the material covered in the Enhanced Defense Financial Management Training Course (EDFMTC) related to Budget and Cost Analysis. Individuals who have completed a significant amount of exam preparation and are looking for a final review prior to taking the exam may find this course helpful. CDFM Module 3 (Accounting and Finance) is an intensive one-day (eight hours) mini-course that addresses the material covered in the Enhanced Defense Financial Management Training Course (EDFMTC) related to Accounting and Finance, Auditing, and Fiscal Law (Fiscal Law is tested in all three modules). Individuals who have completed a significant amount of exam preparation and are looking for a final review prior to taking the exam may find this course helpful. The Module 4 Addendum textbook will be provided. 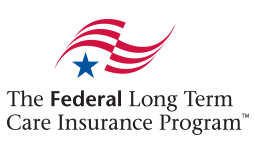 This pre-PDI session (eight hours per day for two days) is an additional fee of $475. The Acquisition Business Management CDFM Module 4 course is a two-day (16 hours) comprehensive overview of the rules governing the acquisition of major Defense systems from the Program Manager’s perspective and incorporates the concepts and rules outlined in the Defense Acquisition Guidebook as well as DoDI 5000.02. The course is designed for DoD financial management personnel as well as those working in the Acquisition field and is intended for individuals who have elected to pursue the CDFM with Acquisition Specialty (CDFM-A). The Informational DoD Financial Management Certification Program workshops offered on Tuesday will provide you additional information about the program and CPE credits. They are optional and provided at no additional cost. While this workshop provides information about the DoD FM Certification Program and provides 1.5 CPEs, it does NOT provide direct credit toward meeting DoD FM Certification Program requirements. Are you a supervisor or Component Certification Authority (CCA) for the DoD FM Certification Program and feeling “challenged” by the FM Learning Management System (LMS)? This workshop is for you! This course provides targeted training regarding how to evaluate and approve items in the DoD FM LMS. Come join us and learn valuable tools to eliminate any frustration with the LMS tool and prepare you to accomplish your LMS roles like a pro! Please note: Workshop 9A/B is also offered on Thursday, June 2nd. While this workshop provides information about the DoD FM Certification Program and provides 3 CPEs, it does NOT provide direct credit toward meeting DoD FM Certification Program requirements. This two-part workshop (Part A and Part B) provides foundational information on the DoD FM Certification Program and then delves deeper into how to complete the three-step process using the FM Learning Management System (LMS). NOTE: PART A AND PART B MUST BE TAKEN TOGETHER. This two-part course (Part A and Part B) provides foundational information on the program and then delves deeper into how to complete the three-step process using the FM Learning Management System. User Training Part A walks the students through how to evaluate their education and training history. 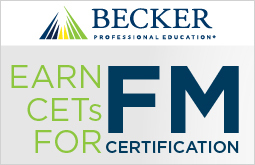 This course will cover: Overview of FM Online and FM myLearn websites; How to find Training and Support resources; Review the Certification requirements for each level; How to search for courses in FM myLearn; How to understand the course alignments; How to use the Academic Matrix; and How to complete the Learning History Worksheet. User Training Part B walks the students through completing the DoD FM Certification in the DoD FM LMS using the 3-Step Process. The 3-Step Process includes: Record Course, Upload Documentation, and Request Approval. This course will cover: How to log into the DoD FM LMS; Overview of DoD FM LMS; Following the Learning History Worksheet to record a course; How to record an academic course; How to upload documentation; How to request approval for an achievement; How to assign the Alternate/Primary Track; How to run user reports; and How to request approval for DoD FM Certification. The MICROSOFT workshops offered on Tuesday will provide you additional skills and CPE credits. They are optional and provided at no additional cost. During this workshop you will learn: How to use Flash Fill, Slicers, EXCEL Charts, Conditional Formatting, and the best for last–How to use PowerPoint to record for training, briefings, demos, etc. The website is: http://www.teksouth.com/teksouth-desktop-tools/. Look for 2016 National PDI. Come learn these great tools. This course will provide shortcuts for everyday use of Excel 2010. Areas of focus will include: resizing columns/rows; opening multiple windows within a workbook; formatting worksheets as tables; creating manual line breaks within a cell; creating custom lists; preventing “divide by zero” (#DIV/0) errors; creating absolute cell references; using SumIF, SumIFS, CountIFS, VLookup and other Excel functions. Our training aids will be picture by picture illustrations to help beginners. Our goal is to share these great skills with everyday Excel users so they can spend more time ANALYZING! We’ll post all training materials one week before the National PDI if you want to bring them with you. The website is: http://www.teksouth.com/teksouth-desktop-tools/. Look for 2016 National PDI. Come learn these great tools. During this workshop you will learn how to create a Washing Machine using EXCEL and ACCESS which will help you from manually cleaning up EXCEL workbooks. We will walk you step by step through the process of how to link automatically from EXCEL to ACCESS and back to EXCEL. ACCESS is where we will do the cleanup and send it back to another EXCEL workbook ready to go. We’ll post all training materials one week before the National PDI if you want to bring them with you. The website is: http://www.teksouth.com/teksouth-desktop-tools/. 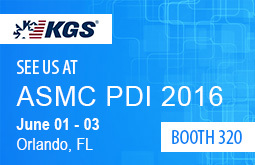 Look for 2016 National PDI. Come learn these great tools. This workshop will be a roundtable format with a short briefing by survey director, VADM Lou Crenshaw USN (Ret.) of the results and trends of the past ten years of the annual ASMC Survey of defense financial management officials conducted by Grant Thornton and ASMC. Discussion with workshop attendees will follow. All of the mini-courses offered on Thursday and Friday are aligned to DoD FM Certification Program competencies and associated proficiency levels. By completing these courses you will gain additional knowledge, earn CPE credits, and fulfill hours toward your DoD FM Certification requirements. 17A/B. DoD Certification Level 2. Competency – Budget Execution (PL3). This mini-course will address the budget execution and management reporting function within a government organization. The connection between budget formulation, budget enactment, and budget execution will be covered. In addition, an overview of different techniques used to integrate budget and performance will be provided. Examples highlighting the effective use of performance data in supporting budget decision-making will be addressed. 18A/B. DoD Certification Level 2. Competencies – Accounting Concepts, Policies and Principles – 1.5 hrs (PL3) and Budget Concepts, Policies and Principles – 1.0 hrs (PL3). Phil Davidson, Senior Trainer, Management Concepts, Inc. This course is designed for junior DoD or contract employees from several different backgrounds: accountants who want insight into DoD budgeting, budgeteers who want insight into DoD accounting, and systems people who want a basic understanding of DoD budgeting and accounting so they can implement new financial systems. 19A/B. DoD Certification Level 2. Competency – Accounting Analysis (PL3). In this mini-course we present the use of accounting information to support decision making. The course will discuss cost concepts including cost measurement, types of cost, the development of cost models for different applications, allocation of cost from inputs to outputs and cost behavior including how measures of productivity relate to unit cost. We will develop a framework for life-cycle cost estimates and explain the use of present value analysis to support the comparison of alternatives over time. In this context, students will develop better understanding of relevant costs and their uses in different processes to support the DoD component fiscal environment to achieve mission goals. 20A/B. DoD Certification Level 2. Competency – Financial Management Analysis (PL3). Rick Hurley, CDFM-A, Instructor, Financial Management Programs, Management Concepts, Inc. This mini-course will introduce cost-benefit analysis and how it is used to support decision-making in the organization, thereby increasing public welfare and improving efficiency. 21A/B. DoD Certification Level 2. Competency – Decision Support (PL3). The instructor will develop concepts that support performance management and budgeting at the unit or sub-organization level. Topics will include responding to strategic guidance by mapping strategic goals and objectives to unit or organization goals and objectives; using unit or organization-level goals to establish indicators that provide information on progress towards these goals and objectives; using performance hierarchies to align measures with goals and objectives; and using targets to guide organizational action. Students will gain a better understanding of the overall environment and processes of performance management and budgeting in small organizations within DoD, and will understand better how to think about measuring performance at the unit or sub-organization level. 22A/B. DoD Certification Level 2. Competency – Decision Support (PL3). This mini-course presents an overview of the decision support process as viewed by resource managers involved in supporting resource decisions. It walks the students through each step in the decision support process, while providing them with techniques and group scenarios to practice using the techniques in the classroom. There is also material on scaling and designing the analysis based on the decision maker and/or decision that needs to be made. The core of the course is the preparation of a Decision Support Analysis in a group setting to highlight the relevant features of a proper decision support analysis. 23A/B. DoD Certification Level 2. Competency – Decision Support (PL3). This mini-course will explore the non-analytical aspects of decision support. Analytically-minded individuals often focus their attention mostly on data collection and analysis. However, the decision support process is much more than just analysis. The first session focuses on correctly identifying and formulating the issue, to include setting the proper objective, identifying assumptions, identifying alternatives, and properly scoping the effort to support the decision maker. The second session focuses on the critical steps after completing the analysis, such as making a recommendation, properly presenting the analysis, and ways that the packaging of the analysis influences the decision maker beyond the basic information. In both sessions, good and bad examples will be discussed to highlight the key issues. 24A/B. DoD Certification Level 2. Competency – Decision Support (PL3). This mini-course presents a universal Decision Support methodology based on the major tenets of the Military Decision Making Process. This interactive presentation will walk participants through a simplified Decision Support model, emphasizing the deliverables and their importance in providing sound advice. Course sub-topics include: issue identification, stakeholder analysis, establishing and weighting evaluation criteria, types of data and measures, critical thinking and effective communication. The session will conclude with real-world examples of successful and not-so-successful presentation techniques. 25A/B. DoD Certification Level 2. Competency – Audit Concepts, Policies and Principles (PL3). Robert Black, Jr., CGFM, Senior Instructor, Management Concepts, Inc. This mini-course will help participants in reducing the risk of waste, fraud, and mismanagement within their agency, and supporting accountability efforts. Participants will learn what controls are and why they are important; the requirements, standards, and guidance available for internal controls; the importance of risk management; and the eight steps in an internal control process. 26A/B. DoD Certification Level 2. Competency – Team Building (Lead Teams/Projects) (PL3). Leading teams today requires inspiration, strategic thinking, cross-boundary collaboration, outcome-focused approaches, change management, and innovative decision-making. At its essence, this type of leadership is centered on three primary functions: setting direction; aligning the team; and motivating and inspiring. It also must address a strategic systems thinking approach. While seeking to fulfill these core leadership functions, DoD financial managers must also effectively fulfill the essential management functions of: (1) planning and budgeting; (2) organizing and staffing; (3) controlling; and (4) problem solving. 27A/B. DoD Certification Level 3. Competency – Budget Execution (PL5). 28A/B. DoD Certification Level 3. Competency – Financial Management Analysis (PL5). The instructor will provide an overview of models and tools used to support financial managers in defense organizations. Topics covered will include stakeholder analysis; defining, framing and scoping a problem; formulating and evaluating models; and tradeoff analysis that supports making good choices across alternatives, including cost-benefit analysis, cost-effectiveness analysis, and risk analysis. The focus is on practical application to management decisions, especially those involving resources. Students will develop better understanding of and the ability to apply analytical tools and concepts in support of the DoD component fiscal environment to achieve mission goals. 29A/B. DoD Certification Level 3. Competency – Advanced Financial Management (PL5). The instructor will present information on the economic environment of defense decision making including tools and concepts from economic theory and practice that help explain resources available for defense and how to make better use of them. Concepts presented include an abstract model for an economy and the tradeoffs made to allocate resources to defense, a framework for making tradeoffs to support the economic and efficient use of resources, and tools and concepts of marginal analysis that allow financial managers to make better tradeoffs among competing alternative uses of funds. In this context, students will develop better analytical skills to help shape the DoD component fiscal environment to achieve mission goals. 30A/B. DoD Certification Level 3. Competency – Decision Support (PL5). The instructor will introduce an approach to the measurement of effectiveness in supporting decision-making by managers in defense organizations. The focus is on practical application to management decisions involving many organizational objectives with emphasis on formulating the problem, understanding the analytical process involved in evaluating potential solution alternatives, and interpreting the results of the analysis in support of choosing a solution. The course will include value-focused thinking, defining objectives, creating objectives hierarchies, identifying attributes, and creating value functions. The results will be used in a cost-effectiveness framework to support the selection of alternatives. Attendees will develop a better understanding of and the ability to make decisions when faced with multiple objectives in support of better decision-making within DoD. 31A/B. DoD Certification Level 3. Competency – Decision Support (PL5). The instructor will build a foundation in model development and expand on it by defining pre-decision analysis (cost estimating tools and effectiveness analysis) and post-decision analysis (cost accounting and performance management), providing elements and examples of each. The instructor will discuss specifying, collecting and using data in analysis, and will identify pre- and post-decision cross-cutting accounting tools that financial managers can employ to improve their decision making, providing more efficient and effective allocation of resources. Benefits of each of the tools and techniques will be presented. The instructor will briefly discuss regression analysis and sensitivity analysis. These issues and concepts provide the foundation required to understand higher level DoD accounting tools, applications and methods. 32A/B. DoD Certification Level 3. Competency – Decision Support (PL5). The course focuses on three areas: (1) establishing a quantitative definition of risk; (2) describing the steps to conduct a probabilistic risk analysis; and (3) discussing strategies for mitigating risk. Each of these areas involves a conceptual presentation and discussion followed by examples, the majority of which relate to the public sector. Emphasis is placed on developing a model and using simulation to solve the model and produce a probabilistic description of risk. This quantitative method will be contrasted with more qualitative methods of assessing risk. Different ways to summarize risk into a single number will also be discussed. The final part of the course will describe strategies for mitigating risk. Determining how the amount of resources to allocate to mitigating risk depends on the decision maker’s preferences. The quantitative measure of risk facilitates the primary trade-off to be made by the decision maker: Is the estimated risk reduction offered by an alternative worth its cost? 33A/B. DoD Certification Level 3. Competency – Developing Others (Lead People) (PL5). This mini-course examines the leadership strategies that shape, develop, and motivate the financial management workforce. It describes the environment that today’s DoD financial managers must leverage for success, focusing on breaking down stovepipes, growing social networks, technological trends, and managing pressure and disorder in today’s world. The mini-course explores creativity and innovation as necessary attributes of a motivated workforce for capitalizing on a world of increasing uncertainty, ambiguity, and change. All of the workshops are offered on either Thursday or Friday and will provide CPE credits. This workshop will provide a current overview of the Defense Department’s FY 2017 budget request, a look forward to FY 2018 and beyond, and potential future alternative funding profiles. The FY 2017 budget information will include a discussion of the political/economic context, any congressional action to date, strategic themes and priorities, and the key initiatives in the budget. The workshop will also address the status of FY 2016 budget execution. In January 2016, the second session of the 114th Congress began what is sure to be an eventful election year. Party politics reign supreme as we move toward possible return of the Senate to Democratic control or a continuation of the Republican control of both chambers of Congress. Even with budget deals and partial avoidance of sequester pains, the country still faces enemies, limited resources and stalemate politics that will impact the way the Department of Defense operates. This workshop will examine the complex, but symbiotic relationship between DoD and Congress to develop annual appropriations to perform the Nation’s security mission in this challenging era of declining budgets and increasing uncertainty around the world. As a DoD employee, having a basic understanding of the congressional enactment process and the impact that it has on your program, can have a large impact of your organization’s success. This workshop will explain the overall congressional enactment process, including why the Authorization and Appropriation Laws are important, the roles of Congressional staffers, the Congressional committees that review Defense acquisition programs, the general rules of appealing a Congressional mark of the President’s Budget, and the importance of the Legislative Liaison Offices involved in the interaction between Congressional and DoD officials. Robert (Mike) Maxwell, Director of Resources, US Africa Command. A panel of senior SES resource managers from Special Operations Command (SOCOM), Africa Command (AFRICOM), Central Command (CENTCOM), and Transportation Command (TRANSCOM) provide current insights on their command mission, requirements, and resourcing. This workshop will cover many of the very basics of budget execution, such as accountability, appropriation lifecycle and laws, flow of funds, reclamas and reprogramming. This workshop will cover the development, resourcing and execution of the Installation Management Enterprise Budget. This workshop will focus on the current success and future roadmap of the PPBE modernization effort currently underway at US Special Operations Command. Over the past fiscal year, US Special Operations Command has embarked on modernizing the framework of systems that support their PPBE process. The project will detail our roadmap, current achievements, and the path forward. We will address the challenges experienced, our success with change management, and our strategy to keep the project on-schedule. With today’s shrinking budgets, many organizations feel they are unable to complete mission essential tasks. This session will explore that premise, focusing on the need to differentiate between historical execution and the future tasks that are truly required for national defense. Included will be discussion on the shift from a historical approach of entitlement to one of adjusting to the new realities of reduced levels of service and the tools needed to make resourcing decisions in this new environment. This workshop will provide an update on current issues in Working Capital Fund management. Selected topics include cash management, the status of implementing the Government Wide Accounting overnight cash initiative, transportation of things, customer relations, and innovative acquisition practices. Constrained resources give the financial community a new role critical to their organization’s mission success. Hear from mission/thought leaders who have enhanced mission effectiveness by improving cost effectiveness. This session will explain how to analyze historical and transactional data, both financial and non-financial data (cost and performance), to inform decisions. The different types of trends in data and how to compare cost and performance data for a more comprehensive understanding of operations. Instruction will introduce simple tools and processes to view cost and performance data as well as how to leverage that information to inform decisions like funding requirements, cost targets, capacity constraints and impacts of budget reductions. Dr. Craig College, CDFM, Senior Vice President, Strategy Development, CALIBRE Systems, Inc.
Dr. Bill Tarantino, President, Active Decision Support Inc. The Secretary of Defense-directed analysis of European infrastructure capacity, with a focus on reducing long-term expenses through footprint consolidations, was completed and presented in early 2015. The EIC analysis was the first opportunity to examine the costs and benefits of consolidating European infrastructure across all of DoD in the European theater. The Secretary’s EIC decisions will significantly reduce cost; eliminate excess infrastructure; and validate the remaining European infrastructure without degrading strategic or operational capabilities. This panel will present a real world application of cost analysis, cost benefit analysis, force modelling, and scenario development efforts to inform DoD-wide installation cost-saving real property decisions that support force structure and the national military strategy. Group Live Presentation. NASBA Field of Study: Management Advisory Services. Course Level: Basic. In an era of declining budgets and manpower, this workshop will highlight both commercial leading practices as well as strategies and techniques from OSD, the Services and Agencies to help identify, analyze, and control costs. Speakers will discuss how they are improving their organization’s understanding and management of costs using DOTMLPF-F to optimize their use of resources, use cost data to tie planning and budgeting to execution, and enable cost-informed decision making. Group Live Presentation. NASBA Field of Study: Business Management and Organization. How are important DoD financial decisions made in Washington? As the former DoD comptroller, and former head of the defense group at the Congressional Budget Office, the Honorable Robert Hale has first-hand experience about how the White House, DoD, and Congress play in these decisions. In this workshop he will describe the process for selecting issues, gathering information, and making decisions — focusing on major decisions made in the Office of the Secretary of Defense. He will also describe the process for making decisions in Congress, and how recent turmoil has disrupted that process. Mr. Hale will use brief case studies of past issues, as well as personal anecdotes, to illustrate the decision-making processes. In this session we will present DoD-wide cash accountability and GL FBWT daily reporting and reconciliation framework that aligns with Treasury’s GWA initiatives, standardizes with little to no manual reconciliation, provides for warehousing of detailed transactional data and supports the audit assertion of the FBWT. The Department faces numerous challenges to achieving auditability. One of the key challenges is overcoming a major material weakness related to Intra-governmental Transactions (IGT) where DoD components have difficulty eliminating financial differences that result from reimbursable work performed between buyer and seller organizations. DoD is adopting a standardized workflow process for all reimbursable work orders. Come to this session to learn more about the DoD mandate to use the US Treasury Invoice Processing Platform (IPP) for the creation and storage of buyer/seller agreements and DoD’s near-term implementation goals. The USSGL provides a uniform chart of accounts standardizing the classification and recording of budgetary and proprietary financial transactions including allotments, obligations, accruals and disbursements. Proper classification and recording of financial transactions through the USSGL is critical to producing accurate, reliable and auditable financial statements. During this session you will learn how the USSGL provides the foundation for auditable financial statements, understand how the chart of accounts is organized, learn the difference between budgetary and proprietary accounts, understand financial transaction posting logic and how the transactions you process update the general ledger and audited financial statements, and learn how the general ledger is balanced and closed at month end. James McKay, CICA, Senior Director, Kforce Government Solutions (KGS), Inc. The Brave New World of Grants Management: Understand the unprecedented impacts of the new Uniform Guidance (2CFR200) on DoD grant making agencies, especially new requirements for pre-award risk assessments and internal control systems that comply with GAO standards and comport with OMB Circular A-123. Hear the perspectives of Defense grants policy makers and management on implementation as well as how Civilian agencies like DHS and USDA are coping with these new challenges. Since its introduction in the early 80’s – with the Office of Management and Budget mandate that all departments and agencies migrate their payroll operations to one of four certified payroll services providers – shared services in the Federal Government has evolved significantly. The government initiatives established lead agencies for various mission support operations, including human resources, financial management, grants management and geospatial operations. The initiatives also established center provision of software applications related services, including platforms for human capital management. During the Obama Administration, the focus has been on establishing shared services centers for financial management applications and building an expanded framework for human capital management. In this session, we will discuss the nature of the Administration’s shared services work and the progress to date, including impacts and expectations for DoD. We will also discuss plans for the remainder of the term and actions being taken to institutionalize the shared services delivery model within the Executive Branch. This workshop will include discussion on the 12 types of ADA violations and examines which ones are automatic and which ones may be correctable. The four A’s include: Appropriation, Apportionment, Allocation, and Allotment. The four May’s are: Allowance, Augmentation, Purpose, and Time. Finally, the four Don’ts are: Indemnification, Obligate in advance, Parking of funds, and Voluntary services. This workshop uses real life examples to emphasize legal requirements and how effective funds control can provide the best protection against violations of the ADA. This workshop will include an examination of current issues in fiscal law, as well as a survey of those issues which arise with some regularity. Special attention will be paid to recent GAO and other decisions. This workshop will provide information about DFAS NAF Financial Services support to the Army and DoD Instrumentalities within their Morale, Welfare and Recreation (MWR) programs. The MWR is a quality-of-life program that supports the warfighter. It includes social, fitness, recreational, and educational activities that enhance community life. It attracts and retains quality soldiers and families. As a service provider, DFAS provides Vendor Pay, Payroll, Disbursing and Accounting services to over 252 customers worldwide. Learn about DFAS NAF Accounting, Accounts Payable and Payroll responsibilities. See how DFAS uses commercial banking to conduct NAF business. This workshop will provide an overview of financial institution (bank and credit union) operations on DoD installations. It will include (1) identification of DoD issuances governing operations of financial institutions on DoD installations and key points from policy; (2) why financial institutions are on installations and how they get there; (3) identification of differences between stateside and overseas operations, to include the DoD Overseas Military Banking Program; (4) how financial institutions support official DoD operations and DoD communities, to include DoD financial education initiatives; (5) discussion of roles and responsibilities of DFAS and the Military Services in administering financial institution operations on DoD installations; and (6) discussion of roles and responsibilities of financial institutions while operating on DoD installations. This session will discuss the need to ground any decision support analysis in facts. While many of us are fluent in processing DATA, not all data is created equal. The need for unbiased facts, how to determine if the correct level of detail is being included, and how different sets of facts can change the recommended outcome will be discussed. Included will be multiple examples of the correct and incorrect use of data and how to differentiate between facts and data. This session will discuss the difficulty in placing an explicit value on providing analysis to decision makers prior to making a decision. While in some cases, the analysis identifies new alternatives that reduce future costs (an actual savings), this is the exception. Many times the analysis recommends a higher cost alternative or simply validates the perceived best alternative. This session will present several ways of viewing the value of providing decision support as well as many valuation methods that are used incorrectly. How do you assess risk of mission failure or degradation? What criteria do you use for measuring risk? Is risk assessment a consistent and deliberate part of your everyday activities? How do we manage enterprise risk? What is the value proposition regarding ERM? Is it my job as a resource manager to know about everyone’s risk? Come join us for an information-packed session on OMB Circulars A-11 and A-123 perspectives on Enterprise Risk Management as well as some keen lessons learned from agencies that have applied ERM practices. You may leave the session thinking of risk in a whole new way. Financial managers are used to looking at spreadsheets and accounting reports to analyze data. Presenting the data to leadership requires that data be presented in a clear, concise, understandable method. Financial Managers need to be able to provide analysis that is accurate and consistent between budget periods and also to provide quick analysis for those “what-if” scenarios. This workshop shows how to use off-the-shelf business intelligence tools to analyze data and to provide decision support to leadership. This workshop will provide an overview of FY2015 Schedule of Budgetary Activities (SBA) Audit results, lessons learned and way forward to achieve audit readiness for 2017 NDAA mandate for all financial statements. DoD’s long journey to audit readiness is reaching a critical stage and there is only a short time before our statutory 2017 deadline for audit readiness. We’ll let you know what to expect, what’s needed to sustain an auditable financial posture, and how the future audit drumbeat will impact the culture of the DoD financial management community. Most importantly, we’ll have a frank and honest discussion on what will be needed before the DoD can be ready for 2017 audit and realistically obtain, and sustain, a positive audit opinion on its consolidated financial statements. This workshop will take you on a year long journey of the audit cycle. Starting after the receipt of the audit opinion to receipt of the opinion on the next year’s financial statements we will take you on a time tested journey of how to complete a successful CFO audit and how to incorporate a robust OMB A-123 Appendix A program all in the same year. During the workshop we will offer lessons learned related to the CFO audit cycle and how to use those test results and those gathered from the OMB A-123 Appendix A program to strength internal controls and get real value out of the audit cycle. Group Live Presentation. NASBA Field of Study: Accounting (Governmental). Course Level: Basic. There are several key enterprise process changes underway and technology enhancements and enablers that impact the future of DoD Financial Management. The Department must find ways to sustain audit in a declining resources environment in the coming years. Hear what processes, IT enablers, plans, and initiatives are underway to help us achieve steady-state auditability. This workshop does not focus on a particular initiative or delve into the details of audit requirements, but helps the audience “connect the dots” between multiple initiatives, relating this big picture view to a sustaining financial auditability year after year. This workshop will discuss the details of and execution plan for the TI-97 Audit Strategy. This strategy is the roadmap for how the Department will achieve a Consolidated full financial statement audit of the Department in FY 2018, inclusive of TI-97. 70. What is the Status of the DoD SSAE 16 Reports and How Do I Use Them to Support My Financial Statement Audit and A-123 Compliance Requirements? This workshop will provide participants with an update on the current status of SSAE 16s in the DoD and initiatives being undertaken to improve the usefulness of the reports to user organizations (and their auditors). This workshop will also include a walkthrough of a typical SSAE 16 report, including Complementary User Entity Controls, and provide insights into how the typical user organization can better use these reports. This workshop focuses on helping you build a successful and sustainable audit-ready OM&S program. Presenters will discuss accounting standards and successful best practices to include a checklist for: implementing a risked based approach to monitor critical areas, cost flow assumptions and their documentation requirements, clarifying the end user and depot level maintenance activities, producing needed financial information (even in disconnected legacy systems), segregating OM&S from Construction in Progress, and delivering meaningful information to management and auditors. 72. Do You Know How Much Your Property Costs? The speaker will discuss recent real property remediation efforts that led to a clean audit opinion. The discussion will offer a strategy and roadmap to remediate and sustain property based on the successful process used by the Coast Guard. The discussion will focus on remediation efforts for valuation, such as alternate valuation for software and alternate dates in services, and the current Coast Guard CIP process. Remediation management what information was and is captured for CG Assets and how is that information shared between operational and financial databases. Property accounting is an increasing priority, particularly for asset intensive organizations such as the Department of Defense and United States Coast Guard. Valuation, government furnished property, environmental liability completeness, and construction in progress are just a few of the challenges receiving focused attention. Financial and functional communities are working together in a variety of forums to identify these challenges and develop practical and innovative solutions to address them. This panel features leaders from the financial, functional, and audit communities who are at the forefront of helping the Department of Defense and the Coast Guard develop solutions to long standing property issues. The panelists will share their insights and lessons learned on bringing stakeholders together to develop strategies that respond to today’s property challenges. With the focus of attaining full financial statement auditability by 2017, DoD has turned its attention to supporting the values of property, plant and equipment. Current efforts are focused on supporting the values of beginning balances as well as all PP&E assets to be acquired in the future. USCG undertook similar efforts as they contemplated how to overcome auditor identified weaknesses in supporting the value of its PP&E assets. Learn from a panel of USGC expects on what worked well and challenges they encountered as they worked through their PP&E valuation challenges. Valuation and Date-in-Service documentation for long-lived assets is one of the greatest challenges to achieve audit-compliance in the Federal Government, especially when some agencies are over two-hundred years old and have assets that have lasted just as long. In this workshop, you will learn how to implement SFFAS#35 through various techniques that create an auditable and repeatable process to approximate historical cost for all types of real and personal property across a Federal agency. This workshop will address linkage between an improved operational, financial, program and administrative controls, improved efficiency and audit readiness. The course emphasis is upon the attributes of an effective Managers’ Internal Control Program (MICP) that identifies, prioritizes and mitigates operational and financial deficiencies before the mission of the organization is negatively impacted versus after. The DoD MICP leverages DoD Instruction 5010.40, OMB Circular A-123, CFO Act and COSO. The speaker will present lessons learned on establishing an OMB Circular A123 compliant internal control program to attain organizational buy-in and inform leadership on key process performance to sustain financial audit success. The discussion will offer a strategy and roadmap based on the Coast Guard’s successful yearly internal controls assessment including discussion of key metrics and dashboards. This interactive course will provide insight on administering internal control programs that are efficient and effective, avoid duplication and minimize the burden on staff especially during this time of limited resources for our Federal agencies. This workshop is designed for the boots on the ground, management, and executives who are responsible for an effective internal controls program. The course will also discuss the evolution of internal controls, learn about best practices, and gain an understanding of assessing internal controls using Compliance methodology. The focus of this workshop will be on efficiently meeting OMB Circular A-123 requirements. Governance, Risk, and Compliance (GRC), when used in Enterprise Resource Planning (ERP) systems environments, are critical enablers for ensuring robust internal controls, security and overall risk management. While many have heard about ERPs, few are familiar with the full scope GRC solutions can address. This workshop will discuss agencies who are implementing GRC to enable automated controls solution. Come listen to how these solutions will enhance financial internal controls and compliance and to benefit overall risk management and financial improvement efforts. Group Live Presentation. NASBA Field of Study: Auditing (Governmental). Course Level: Basic. A successful audit is much more than establishing opening balances. This workshop focuses on helping you build a high performing organization using a successful and sustainable audit remediation program. Presenters will discuss critical success factors and successful best practices to include: developing a remediation strategy, essential change management elements, overcoming cultural barriers, looking beyond balances to the process as a whole, and verifying sustained compliance. Group Live Presentation. NASBA Field of Study: Auditing (Governmental). Course Level: Intermediate. This workshop focuses on developing creative solutions to fix broken processes and downgrade audit findings. Presenters will discuss accounting standards, policies and procedures implemented by the Coast Guard, and sample information for use. Specific concepts include: (1) Implementing risk based approaches; including the importance of viewing business processes from a holistic viewpoint and identifying key risk and control points early in the process; (2) Designing and implementing efficient and effective control packages that function together to mitigate risks without over controlling the process; and (3) Developing compensating procedures and controls to support financial reporting processes despite having non-compliant financial systems. Department of the Navy has been making progress identifying areas of overlap between cyber security and financial audit readiness activities. We have gone as far as synergizing processes across those two disciplines and creating a single work stream that will satisfy both requirements. The challenge of meeting these two important goals are not unique to the Navy. The goal of this workshop is to share the DON efforts on how the quality of an entity’s information security relates to successful financial audit outcomes. This workshop will include the evolution of audit in the federal space with a focus on the increased importance of IT controls, data reliability, data analytics, estimates and other topics. It will also focus on the common issues with data quality in the finance and accounting function. Common data quality issues result in problems such as purchase orders not being filled, vendors not being paid in a timely manner, and inactive customer accounts not being closed out in a timely manner, which will impede the year end closing process. Identifying the outstanding Data Quality issues and applying data cleansing rules to improve will alleviate these issues. Finally, we will present a framework for improving the financial reporting processes, procedures and tools. The combination of good data quality and a reliable financial reporting framework will help agencies meet their performance and audit measures. Do you know what it takes to bring an independent public accounting firm on-board? This workshop will take you through the requirements generation to contract award process. During this joint Department of Defense Inspector General (DoDIG) and Defense Finance and Accounting Service (DFAS) workshop, DoDIG will offer lessons learned related to requirements generation, security, audit timing, and maintaining independence as well as provide insights into the audit assertion process. DFAS will discuss the contract formation process that starts upon receipt of the completed requirements package and offer insight into communication needs, key responsibilities, timelines, critical tasks, and lessons learned in this process. This workshop is a wonderful way to understand the overall process and leverage valuable lessons learned in onboarding an IPA. The auditors general for the three military departments will discuss current trends in audits, especially operational audits which often challenge assumptions and procedures with an eye toward improving efficiency. The session aims to give financial managers a better understanding of audit goals for the coming year. This workshop will cover Better Buying Power initiatives which have evolved since Sep 2010. Should Cost discussion includes what “Should Cost” means, the process for identifying should cost initiatives, as well as examples of should cost initiatives. The process could be used on any budget in which you are trying to reduce costs and get more for your money. This workshop will focus on recent Information Technology (IT) Governance Improvement initiatives to streamline IT acquisition processes, more effectively leverage technology, increase standardization and compatibility and reduce overall costs. The panel members will discuss specific initiatives, implementation challenges, successes, lessons learned and changes that have been necessary in PPBE and acquisition processes and workforce culture. The panel welcomes feedback from attendees on the impacts of changes on their organizations (both positive and negative) as well as recommendations to consider for future improvements. This workshop will focus on how to maximize the use of EVM data, tailor the Cost Performance Report (CPR), evaluate a program’s status and developing trends, generate Estimate at Completions (EACs), and incentivize the contractor to provide accurate/timely EVM data. Using this Integrated Management tool will help program offices and any organization using EVM to manage cost, schedule, and performance of the contractor in the meeting the requirements of the contract. The cost estimators, earned value specialists, and financial managers are a means to an end for the single point of an acquisition program’s responsibility, accountability and ownership: the Program Manager. This workshop explores the effective integration of these disciplines to support critical thinking and decision-making at the program level. How can you most effectively support your program leadership? Risk occurs in every aspect of our business life and can negatively impact organizational AND ACQUISITION PROGRAM performance. Many leaders believe ACQUISITION program management and risk management are synonyms. In any regard, managing risk is a key focus of ACQUISITION program management, REGARDLESS OF ACQUISITION CATEGORY (ACAT). Unfortunately, many program managers do not adequately consider risk in their planning. This workshop focuses on how to identify risks, how to write risk statements, how to identify the root cause of the risk, and the impact risk has on financial management, budgeting AND PROGRAM EXECUTION. The concept of net factored risk will be discussed as a method of determining risk dollars required to budget. You know that you pay for your contractors’ labor and materials for the work it provides directly to you. But did you know that you also pay for your contractor’s CEO, comptroller shop, security team, building depreciation and housekeeping staff? This workshop discusses and explores contractor indirect costs – what they are, how they fit into your contractor’s rates, and how contractor business decisions and events unrelated to your work can affect what you have to pay. This session will provide an overview of the contract closeout process and the roles the three key Defense Agencies play in the process. The workshop will include actions being taken to reduce the amount of overage contracts – a significant DoD priority. Untimely closeout of contracts results in risk to the Department related to unliquidated obligations, expiring and canceling funds. In an age of decreasing budgets and multiplying challenges, the DoD FM leadership looks to recruit, retain, and develop a highly talented and capable workforce by providing the foundation, framework, and functional training needed for mission success. The Under Secretary of Defense (Comptroller) is dedicated to carrying out the GAO Green Book’s fourth core principle – “Demonstrate Commitment to Competence” – by ensuring its workforce has the knowledge, skills, and abilities for the future. From competencies to career roadmaps to certification, this workshop will provide the latest info and updates on initiatives the DoD FM leadership has developed to help employees, mentors, and supervisors achieve success, both professionally and in executing the DoD mission. This workshop will provide an overview of: the Defense Performance Management and Appraisal System and Force of the Future initiatives impacting civilian personnel. DoD is in the process of building the “Force of the Future,” a comprehensive plan including a goal to recruit, train, and retain the next generation of warfighters and civilian personnel. Specifically, it includes a proposal to allow service members the opportunity to have a break in service to pursue other life goals; such as getting a degree, working with industry, and starting a family as a significant mechanism to both recruit and retain top talent. What are the top 3-5 challenges with this proposal and what strategies are needed to mitigate them? (1) How does the military choose who can elect to receive the opportunity of a break in service? (2) While the military recognizes the importance of this type of program to individual service members, what are the effects of a break in service on mission readiness? (3) What are the challenges and effects of returning personnel to duty? (4) How do you think the military, and specifically FM can leverage private sector experience further to be adaptable in a future DoD? (5) What should FM leaders look for in external talent when hiring? This workshop will address some of the more common ethical issues confronting DoD employees, and will offer practical solutions to avoiding/correcting potential violations. Special attention will be paid to political activities and other current issues. This workshop will include discussion of some of the issues and pitfalls associated both with personal and official agency social media accounts, along with practical tips for using social media in a safe and productive manner. Get ready for an interactive session that will advance your views about critical thinking. Opinions and beliefs based on critical thinking stand on firmer ground than those formulated through less rational processes. This dynamic workshop will explore the basic intellectual standards of critical thinking, identify common obstacles to critical thinking, and provide useful tools for the practical application of critical thinking principles. Come join us as we think about thinking. Numbers are a fact of life as are people. Both numbers and people take practice. Some are better at numbers than people and some are better at people than numbers. This presentation shows you how one number in particular is more powerful than all the others. It will teach you that if you can harness the power of 8’s, you can harness the power of people. Both numbers and people are here to stay. Why not learn more about each? Enjoy this leadership lesson that will enrich your interaction. Taking Care of People…The resource that really matters is people. You know we have to take care of people, but do you really know what that means? The challenges of today make it more important than ever, so listen, learn and laugh with this high-energy presentation that will leave you wanting more! This workshop (presented by a former Air Force FM Colonel) gives you his list of what it means to take care of people in an energetic, anecdotal, real life approach…and challenges you to do it better. During this session you will learn the techniques of creating and using Microsoft’s #1 analytical tool in Excel 2010. Areas of focus will include creating, setting up and basic navigation of PivotTables. We’ll also teach you how to add fields, filter pages, adding formulas, applying filters, formatting, drilling down and other PowerPoint skills. Our training aids will be picture by picture illustrations to help beginners. Our goal is share these great skills to everyday Excel users so they can spend more time ANALYZING! We’ll post all the training materials one week before the National PDI if you want to bring them with you. The website is: http://www.teksouth.com/teksouth-desktop-tools/. 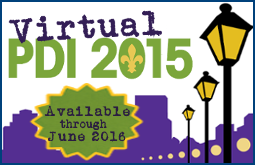 Look for 2016 National PDI. Come learn these great tools. This workshop is an excellent source for ASMC chapter tools and information, as well as an opportunity to share experiences, ideas and solutions with fellow ASMC chapters from across the country. The core of this workshop is one of interest to all chapters – membership recruitment and retention. Get some ideas from headquarters as well as chapter leaders – learning what challenges they are experiencing and how they have tackled these challenges. Share and receive best practices for service our members.